Senators Cory Gardner (R-CO) and Michael Bennet (D-CO) announced Thursday the NFRMPO has been awarded a $20M Better Utilizing Investments to Leverage Development (BUILD) grant for the North I-25 Segment 6 improvement project. 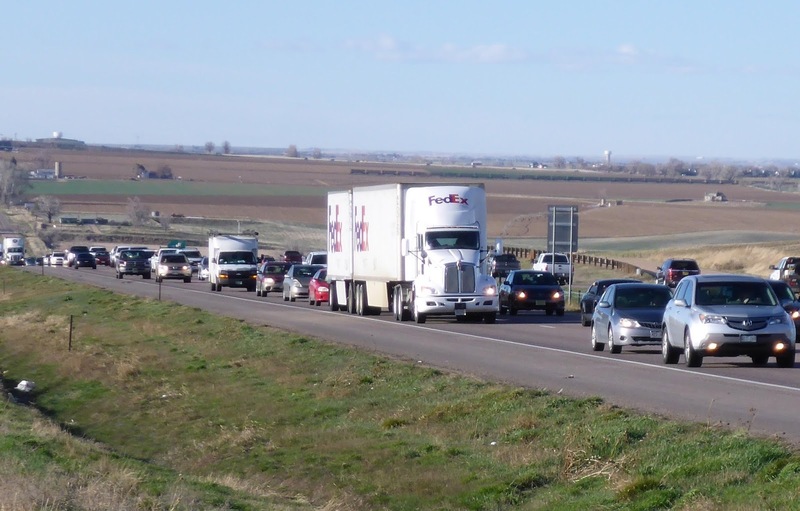 The $20M grant, from the U.S. Department of Transportation (USDOT), will help with widening a segment of North I-25 between SH 402 and SH 56/Little Thompson Bridge through the addition of an express tolled lane in each direction. CDOT has estimated that in 2040, the I-25 Corridor will see a 60 percent increase in daily vehicle traffic. Both Senators issued statements regarding the award. Senator Gardner stated, “We strongly advocated to the Department of Transportation how important this infrastructure funding would be for Colorado and I-25, and I’m thrilled to announce it will be coming soon to help support these important projects." Senator Bennet acknowledged the local, regional, and state collaboration around the North I-25 project saying, "Thanks to the tireless efforts of Northern Colorado communities, this $20 million for North I-25 will build on past TIGER grants to decrease congestion in one of the state’s busiest corridors." Two other Colorado projects were also awarded BUILD grants. CDOT was awarded a $20 million BUILD grant for its vehicle-to-everything (V2X) project to expand the connectivity of transportation infrastructure through the deployment of fiber across Colorado highways. The City of Glenwood Springs will be receiving $7M for to modernize infrastructure along the City’s South Midland Avenue.